There are many areas within schools where you will be shocked to find hazardous chemicals. It could be an outside storage shed, closet, classroom, or maintenance area; it is likely there is an abundance of chemicals in your schools. 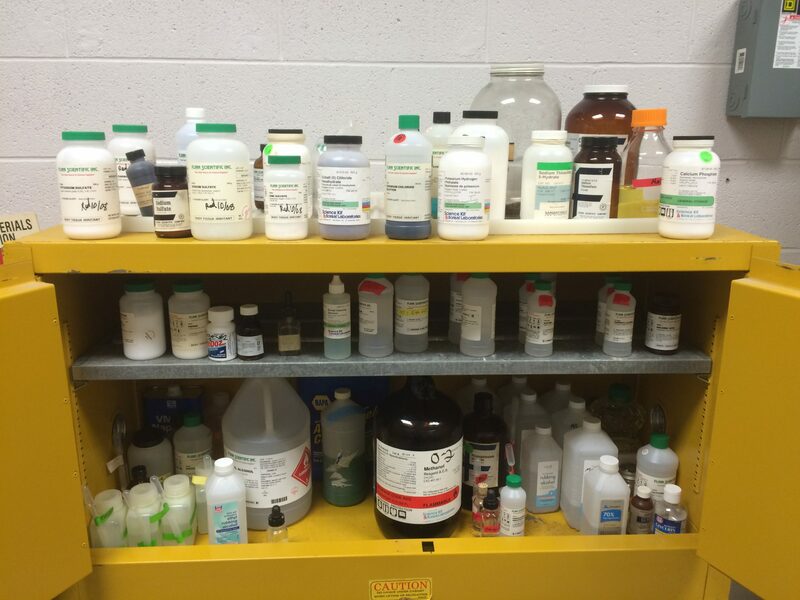 Here is the most common and an expected place to find chemicals i n a school. OSHA has The Laboratory Standard which regulates chemical hygiene in labs. There are requirements for areas where chemicals are stored that the school must be compliant with. Consider, proper storage, security, safety, and much more. Science labs are where stockpiles of chemicals are stored and often we see many that are out of date and serve no purpose. Without a chemical hygiene plan and officer, it is not uncommon to find hazardous chemicals in schools that have been banned or pose excessive risk. 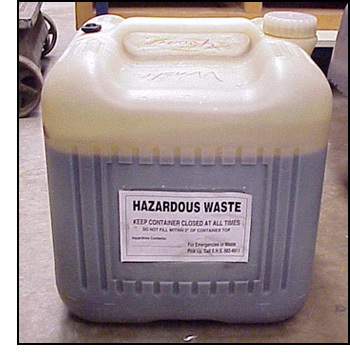 A yearly Hazardous Waste pickup is recommended to keep a healthy stock of chemicals. This is the second most common area to find hazardous chemicals within a school. There are typically several maintenance shops or closets throughout a school. Each location often storing chemical conaining products like, cleaners, antiseptic spray, paints, lubricants, etc. These rooms and closets also need to follow the same rules and regulations set for science and other areas where hazardous chemicals are stored. 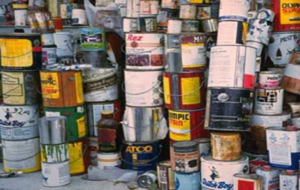 Paints and oils usually find a resting place in maintenance workshops where they pile up and will need to be disposed of properly. Before acrylic and latex paint became common, paint was extremely toxic and some schools still have lead based paint in their classroom. In addition to lead paint, used photo developer and fixer creates a hazardous waste which contains silver, another heavy metal. Many schools have switched to digital photography but there is still dark rooms where students are developing their own work. Old glazes from pottery work, are know to contain heavy metals as well, like chromium and cadmium, they need to be replaced with a safe alternative. These were the top three places you can expect to find hazardous chemicals within a school. Additional places can include the nurses office, administrative office, general classrooms, cafeteria, and vocational workshops. Be sure your school is safely managing hazardous chemicals and that a Chemical Hygiene Officer is in control of the schools compliance. Stay tuned for tips on how to be compliant in your school.